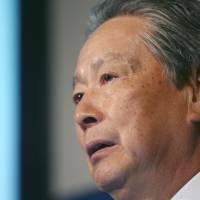 Nobuyuki Idei once embodied Japan’s corporate establishment, the leader of technology giant Sony Corp. Now 75, he’s aiming to reinvent himself as a cross between a Silicon Valley venture capitalist and Hollywood mogul. The former Sony CEO describes himself as the “executive producer” behind a long list of projects, including a venture fund, a design consultancy and a salon for entrepreneurs. They’re all designed to boost start-ups in Japan, a country the World Bank ranks behind Ghana and Tanzania in ease of starting a business. In a wide-ranging interview, Idei touched on everything from the difficulty domestic entrepreneurs have in finding investors to Nikolai Kondratiev’s obscure theories on technology cycles. He also said he had no regrets about his much-criticized stewardship of one of the nation’s most iconic companies. Sony’s shares peaked at ¥16,300 in March 2000, about four months before Idei took over as chairman and CEO. 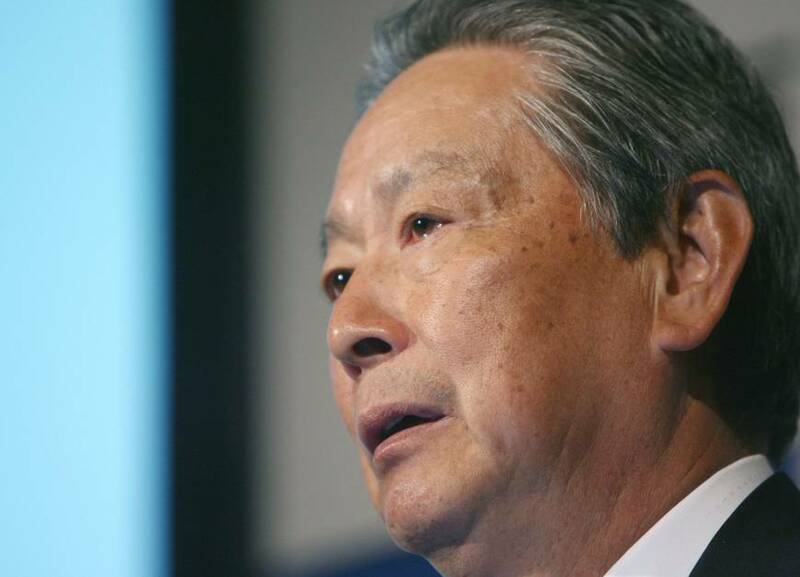 By the time he stepped down in June 2005, Sony’s shares were trading at around ¥3,900. Idei’s office sits several blocks from the Roppongi nightlife district and is cluttered with black leather sofas and chairs. A triptych behind his desk shows the Manhattan skyline; the sound of birds chirping wafts in from outside. He retains the mane of swept-back hair that was his trademark at Sony. Dressed in blue slacks, he moves lightly across the office to tug papers from one of the many piles and then launches into an explanation of life after Sony. Quantum Leaps, founded in 2006, has grown into a 10-person firm aimed at helping local entrepreneurs. Idei reeled off a list of about 20 start-ups to which he’s lent his time, and sometimes his money. His latest project — which he compared with a movie produced by the “Idei studio” — is a venture capital fund he is planning to finance by soliciting corporate sponsors. Among the start-ups he’s backed are Dreamforest Corp., a maker of smartphone accessories that can help you fine-tune your golf swing, and Green Lord Motors Co., a maker of handcrafted electric sport cars he said might one day rival Tesla Motors Inc. The Kyoto-based start-up, in its fourth year of business, took orders for its first 36 vehicles this summer. They sell for about ¥8 million. Focusing on start-ups is quite a switch for a man who was at the helm of a sprawling global conglomerate with more than 150,000 workers. The new tact reflects hard-learned lessons about how corporate bureaucracy stifles innovation, Idei said. During his tenure, Sony fell behind in the transition to flat-panel televisions and Apple Inc.’s iPod stole the market for personal music players away from the company that invented the Walkman. Apple followed that up with the iPhone, which helped make it the most valuable company in the world. To get Sony ready for the future, Idei said he built the Playstation business and started a mobile phone venture now bearing fruit. A lifetime spent climbing the corporate ladder makes Idei an unlikely savior for entrepreneurs, who need mentors with hands-on experience building businesses from nothing, according to Greg Tarr, managing partner at venture fund CrossPacific Capital in Palo Alto, California. Japan remains a tough place to start a major business, though there are the rare exceptions, like Masayoshi Son’s Softbank Corp., which has become the second-largest company on the Nikkei 225 stock average by market value since its founding in 1981. “There are a lot of risk-takers, but they have to be endorsed by money,” Idei said. With most Japanese venture capital firms run by banks loath to take on risk, start-up funding was about $1.2 billion in the 12 months through March 2012, according to the most recent figures from Tokyo-based researcher Venture Enterprise Center. The U.S. market was $27 billion in 2012, data from the National Venture Capital Association show. The World Bank ranks Japan 114th of 185 countries in terms of ease for entrepreneurs in starting businesses. The place with the fewest obstacles to getting off the ground is New Zealand. The U.S. ranks 13th.